This is a PROJECT from Jordan Maxwell. It's been in the making for over 26 years, and it's finally here -- so welcome to the world of Jordan Maxwell. JOIN HIM NOW, SIGN UP, and GET IN on the ground floor. CLICK HERE. LISTEN to Jordan discuss his Research Society HERE. NOTE: After Jordan's discussion, the Research Society recently expanded to include Jordan's full-length, online videos. Instead of hosting the videos on another website, Jordan chose to consolidate them with his work here. The Research Society of the past is now the online vault of private research by Jordan. Hi, this is Jordan Maxwell. Just a note to say that as many of you know I've been victimized over the past 26 years by ruthless, conniving opportunists who only wanted to make money off me by stealing everything I ever worked for. Having said that, the reason I'm writing you is to make you aware I am no longer allowing my work to be viewed by the general public. 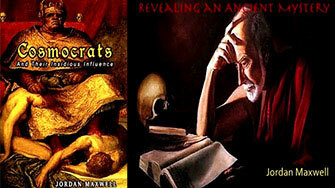 Therefore, I've decided to share my life's work with only those who care about my work and want to hear me. That's why I've created the Jordan Maxwell Research Society in which I will share all of my work privately with those who wish to join. While most research societies/newsletters/websites ask for hundreds of dollars a year for membership, I'm asking only for a one-time donation of $10 to $30 USD for a lifetime membership. A $10 USD donation gives you lifetime membership and lifetime access to one of my full-length, online videos, which you can immediately watch and listen to on your computer or device. A $30 USD donation gives you lifetime membership and lifetime access to my online vault of private research. In the vault, you’ll enjoy unlimited, immediate access to photographs, articles, documents, media, and links to external websites I consider information you need to know, from extraordinarily important people. I will be continually adding new material to my online vault of private research. Please join me HERE. 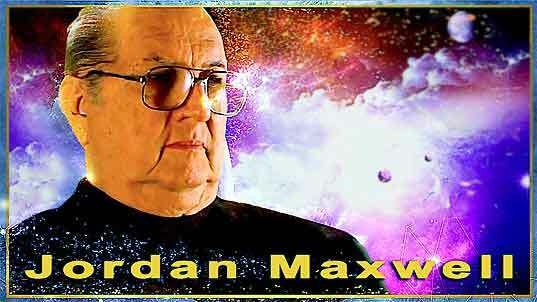 The Jordan Maxwell Research Society exists and continues solely on donations. Thank you for your donation and appreciation of my years of massive research, unique effort, and extremely difficult work, at great personal cost, in spite of hurtful, relentless ( ad hominem ) attacks on my name and work by enemies of truth and open-minded inquiry, plus battles with enemies trying to stop me from reaching you by stealing everything I ever worked for. JOIN Jordan's private research society HERE.